You know your body. You know if something is wrong, and I knew. 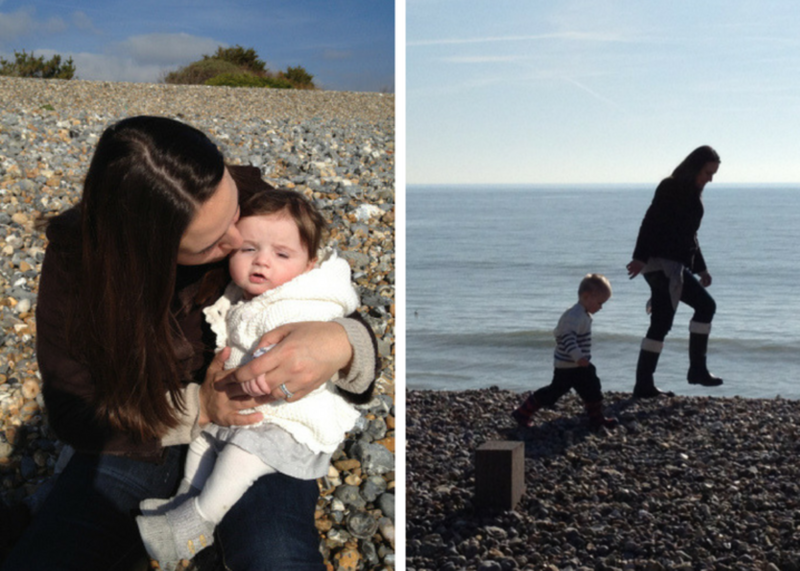 When I was pregnant with my second child, I knew that I had bowel cancer. I had a strong inner feeling and I knew. I was experiencing textbook symptoms and had a basic knowledge based on a strong family history — my mother, grandmother, and great-grandfather all died from bowel cancer at young ages. Even so, getting diagnosed was not as easy for me as it should have been. I experienced rectal bleeding on and off, probably since 2006. Over the years I’ve visited various general practitioners, but it was always the same thing… I was too young to have bowel cancer, saying it was probably a small internal cut and if the bleeding went away there was nothing to worry about. But the bleeding would stop. I now know that the bleeding was probably polyps in my colon which bled intermittently, and it was these polyps that grew into a cancerous tumour. In hindsight, it could&apos;ve probably been dealt with in the early stages if my initial concerns and symptoms were taken seriously. During my second pregnancy in 2011 the bleeding became intolerable, even so, my GP still refused to send me for testing. At my 6-week postnatal checkup, I was ridiculed by one doctor for suggesting I had cancer at 30 and told by another GP that it was a waste of NHS money to send me for tests. But I pushed and pushed until they finally agreed to refer me to a specialist. Firstly; there is no point in dwelling on that experience now. I’m sure they were doing their best (I do still say that through slightly gritted teeth). Secondly; it is due to an outdated idea held by many GPs that colon cancer mainly affects older people, a misperception that must change. Partly through raising awareness — I’m hoping that speaking out will help. Thirdly; for every incompetent GP I’ve come across, I have met 100 NHS staff who are incredible and worthy of more praise than I could ever give. Lastly; I love the NHS. When I was ill and reading blogs about the financial stress cancer patients face in the USA, I would always feel an overwhelming sense of gratitude that I live in the UK. I had none of those worries, thanks to the NHS. I knew I was going to be treated and never worried about paying for it. Amazing! Further CT, MRI and PET scans showed the cancer was as severe as it could be without being terminal. 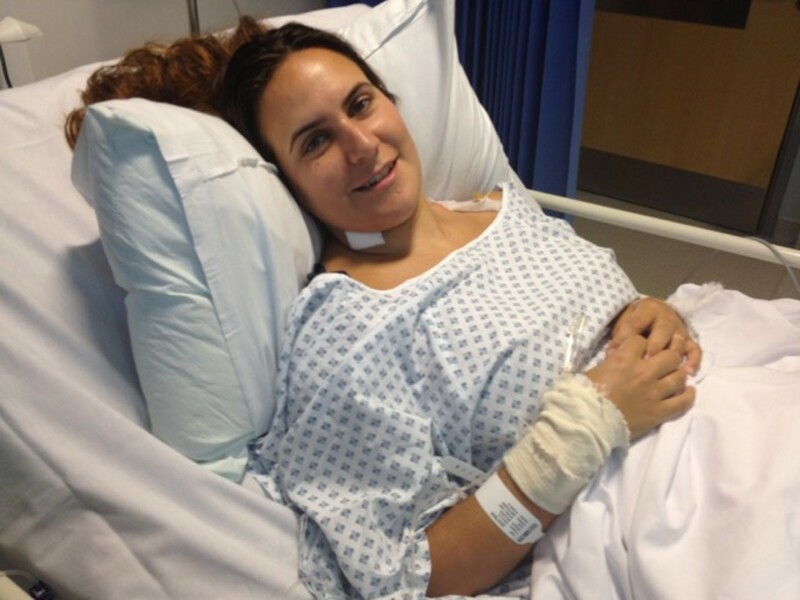 My surgeon would later tell me she thought I had bowel cancer for around four years (meaning through both my pregnancies), and if I had waited another six months there would have been nothing they could do. It was so far spread that I needed what the doctors called ‘radical treatment’. This included three months of chemotherapy and daily radiotherapy combined, followed by a 12-hour operation. Then another three months of chemotherapy. Overwhelming? Yes. Do-able? Absolutely! Hanging out with the kids as treatment was starting. I knew that at the end of treatment, if everything went well, I would no longer have cancer. But I would have… infertility, early menopause (at 31) and a permanent colostomy bag. Truth be told, I struggled mentally with the colostomy more than I did with cancer. Cancer I could deal with, a bag I could not. I thought an ostomy was the absolute worst thing that could happen and went into a very strange state of denial, praying it wouldn’t happen. I only wish I could go back to my pre-operation person and tell her that it wasn’t going to be anything near as bad as she was expecting. Do I wish I didn’t have it? Yes. But on the whole is it perfectly manageable and there’s nothing that I did before that I can’t do now. My experience trying to get a diagnosis made me realise how important it is to take responsibility for our own health. You know your body, you know if something is wrong. Trust your instincts. I know how scary it is to say to a doctor, “I think your wrong” but thank goodness I did. My surgeon later told me that the cancer was so far spread that if I had waited six more months, they wouldn’t be able to do anything. That’s a scary thought! Colon cancer can happen to anyone at any age so if you have any symptoms or concerns, do not take a chance. Trust me. The wonderful Bowel Cancer UK is a fantastic resource. Go, see, speak and don’t take no for an answer. Let&apos;s all take action together! Nicola&apos;s book, The Fabulous Woman&apos;s Guide Through Cancer, is available on Amazon. Nicola is a writer and author living in Hertfordshire, England with her husband, two children, and their French bulldog.